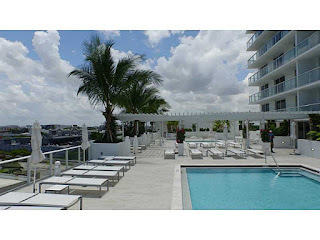 Miami Riches Real Estate Blog: Baltus House is ready to go! Baltus House is ready to go! With a finished construction Baltus House is waiting for you! Whether if you are looking to buy or rent this building is ready to take you in. Given that it is located in Biscayne Boulevard, it certainly offers off the hook advantages. Being in the design district opens the door to people interested in new trends, art, innovative fashion, architecture, dining and, of course, design. The lifestyle of this district is beyond comparison and the last couple a months have been a proof of that. In between new high end stores, first quality yoga and an art exhibition concentrated in boundaries between organic elements and technology in society, it takes you to different experiences that you won’t be able to live anywhere else. Nothing shows more professionalism and an open mind than a commitment to encourage a neighborhood comprised of creative experiences. Definitely this is the place to go if you want to be intellectually and culturally stimulated in a tropical ambient. This brand new building has several features that maximize quality of life and changes the perspective of living in a condo. The lobby and elevators show designer finishes that give a sense of a luxurious and modern home. It has a beautiful pool, a gym and other common areas that will certainly satisfy anyone’s needs. All of these positive aspects bring down changes to the prices that keep on rising since the preconstruction sales. Right now you’ll be able to buy or rent and like everything in life either option has its perks. The sale price for a Studio starts at $308,000. 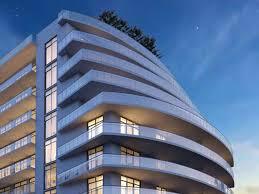 For other condos with more square footage it could go from $395,000 to $410,000 (1 Bedroom). The rent of a Studio goes for $1,600 per month and like the sale prices it goes up with more square footage. In this case you’ll find yourself paying a maximum of $1,800 per month for an 896 sq/ft apartment with 1 bedroom, 1 bathroom and kitchen with stainless steel appliances. The information shown above gives the picture of the benefits of living in Baltus House: the environment, the local movements, the modern feel, the fantastic common areas, the quality of the condos and others. If you find yourself wanting to be surrounded by what has been described don’t hesitate in contacting us for further information.